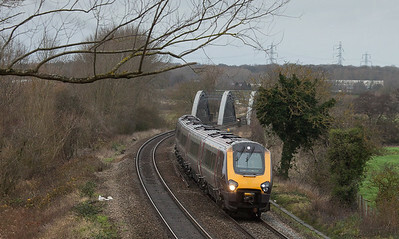 Returning from Cumbria in December 2015 I stopped by Dicot on the eve of the electrification project. 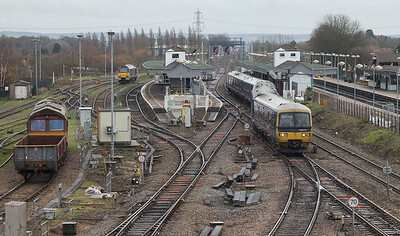 165102 arriving in Didcot from Oxford. 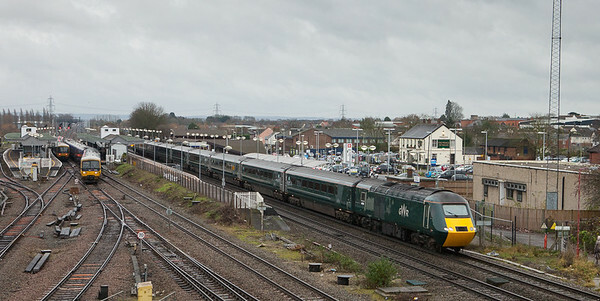 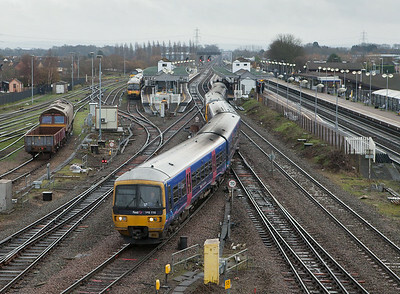 Great Western Railway HST in Didcot. 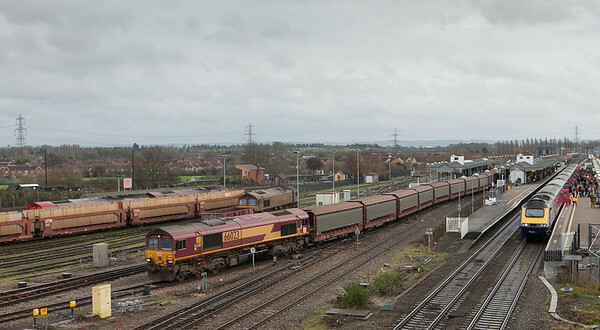 66023 with empty Jaguar train passing through Didcot. 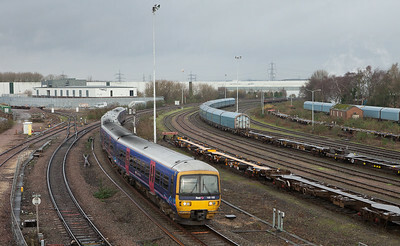 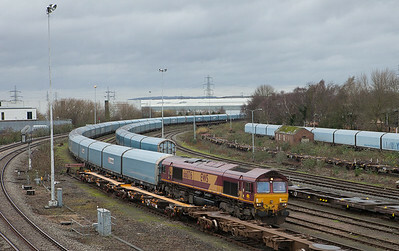 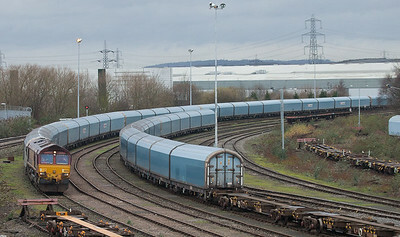 66076 with auto train in Didcot. 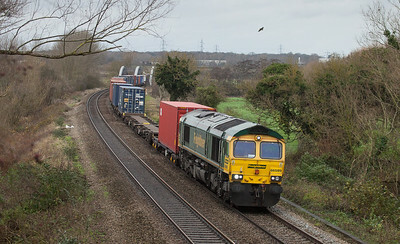 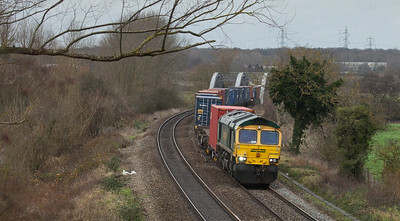 Freightliner 66589 with intermodal in Appleford-on-Thames.